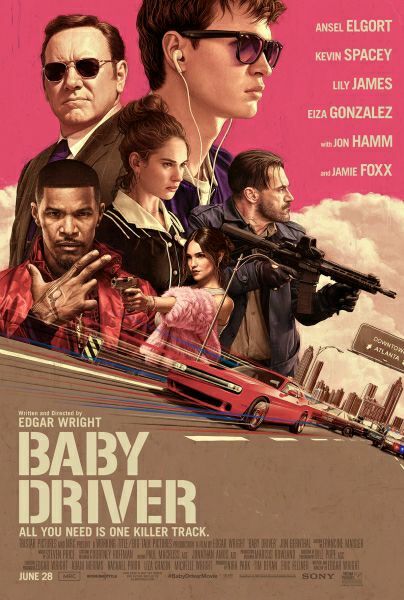 It would be easy to dismiss Baby Driver as all flash and no substance. However, while there is a lot of flash on the screen there is also a surprising amount of heart. The movie is uniquely choreographed with much of the action cleverly timed to the beat of the soundtrack, right down to the cadence of the dialogue. Ansel Elgort is perfectly cast as the baby-faced getaway driver of the title, and the car chases—especially the opening sequence—put the Fast and Furious franchise to shame. There is a believable story backing the outrageous action, and you buy in to the teenage love story thanks to the presence of Lily James, who has a strong chemistry with Elgort and a dynamite smile. Kevin Spacey, Jon Hamm, and Jamie Foxx perform their parts in a workman-like fashion (although Hamm does ride above journeyman status by the final scenes), never detracting from the action.